An iceberg melts in Godthåbsfjord, West Greenland [Credit: Thomas-Juul Pedersen]. One of the most challenging research questions to address in the Arctic is how freshwater discharge from Greenland’s largest glaciers affects the biogeochemistry of the ocean. Just getting close to the calving fronts of these large marine-terminating glaciers is difficult. Fjords, hundreds of kilometers long and full of icebergs which shift with the wind and roll as they melt, make the commute a little difficult. Navigating these fjords to within a few kilometers of Greenland’s largest glaciers requires a combination of luck, skillful handling of small boats and a ‘fortune favors the brave’ attitude to sampling which would probably upset even the most relaxed of University Health and Safety Officers. The limited field data we have from Greenland’s fjords must therefore be combined with other data sources in order to understand what happens between glaciers and the ocean. 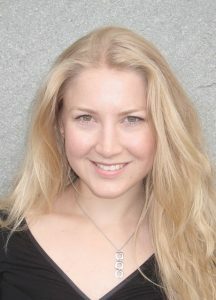 biologists, to understand the net effects of multiple physio-chemical changes to the environment on living organisms. In the context of climate change it is also always worth remembering that the increase in Greenland ice sheet discharge occurs alongside other changes in the Arctic, such as the disappearance of sea ice and warming of the atmosphere and ocean. Thus, we really must unleash 4-dimensional thinking in order to understand the processes that are currently at work in the whole Arctic. Recent work around Greenland has shown that one particularly important factor in determining how a glacier affects downstream marine ecosystems is whether it terminates on land or in the ocean. When a glacier sits in the ocean and releases meltwater at depth, this cold freshwater rapidly mixes with deep nutrient-rich seawater. This buoyant mix, known as an upwelling plume, rises upwards in the water column. These buoyant plumes act as a ‘nutrient pump’ bringing macronutrients from deep seawater to the surface and thus driving quite pronounced summertime phytoplankton blooms. Around Greenland, these blooms are quite remarkable. Summertime productivity in the open Atlantic is generally quite limited, while the main time of year when phytoplankton bloom is spring. In several of Greenland’s fjords, however, phytoplankton bloom over the meltwater season (around May-September). Understanding how these upwelling-driven blooms operate, and more importantly how they will change in the future, is a formidable challenge. 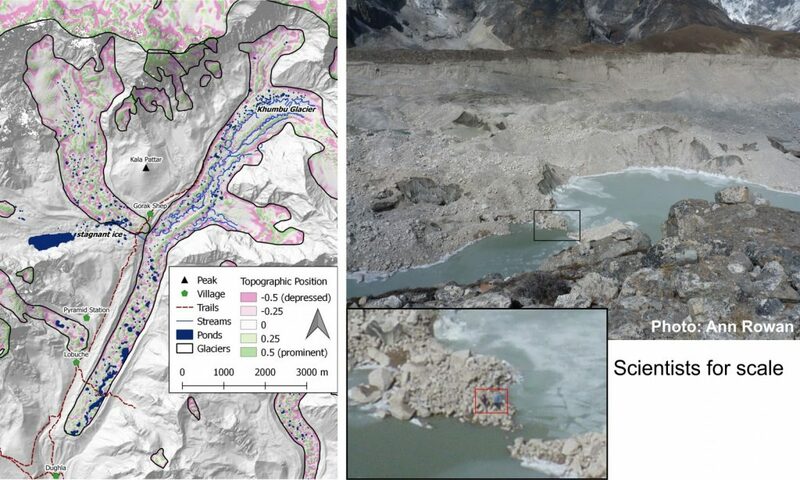 There is an almost complete lack of either physical or biogeochemical data within a few kilometers of most large marine-terminating glaciers and thus our ability to quantify the relationship between discharge and downstream productivity is limited. Contrasting effects of meltwater around Greenland depending on where the glacier terminates with respect to sea-level. [Credit: Fig 3 from Hopwood et al., (2018)]. Fortunately however, the field of subglacial discharge modelling is relatively well advanced. Since the 1950s, plume models have been used to describe reasonably well the subglacial discharge downstream of glaciers. Whilst all of Greenland’s glacier fjords are unique, we can at least model the processes that underpin the ‘nutrient pump’ leading to such unusual summertime productivity around Greenland. One thing is particularly clear from the use of these models. The depth at which a glacier sits in the water column is a major factor for the magnitude of the upwelling effect. 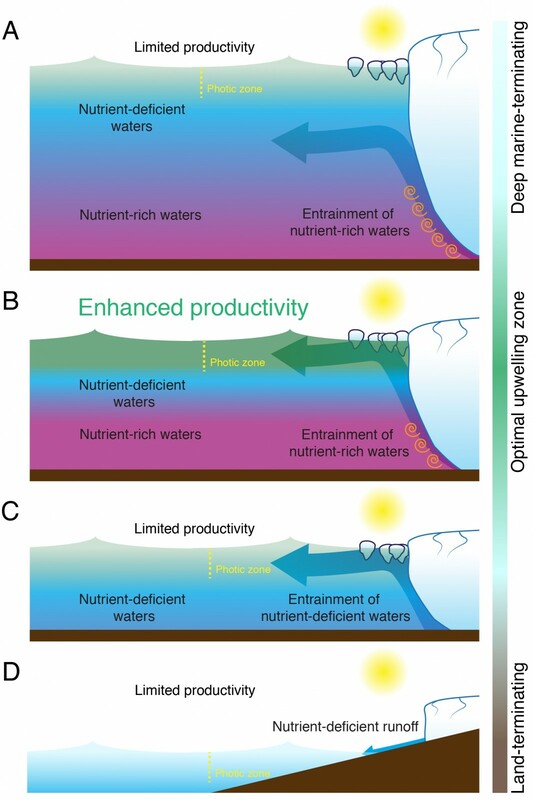 If a glacier retreats inland, this is generally bad news for downstream marine productivity. 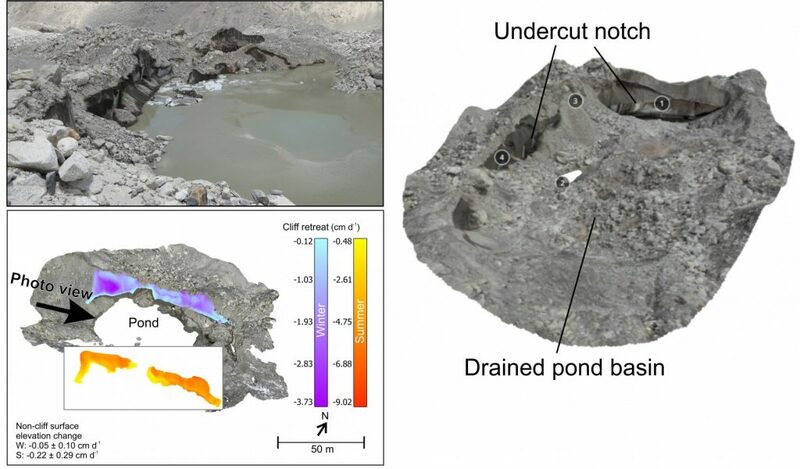 As marine-terminating glaciers retreat, the nutrient pump rapidly collapses if the glacier moves into shallower water – irrespective of what happens to the volume of discharged meltwater. For a majority of Greenland’s glaciers for which the topography under the glacier has been characterised, this will be indeed the case under climate change: as the glaciers retreat inland, their grounding lines will get shallower and shallower. The ‘nutrient pump’ associated with each one will therefore also diminish. There are still many things we don’t know about environmental change around Greenland, as our almost complete lack of data outside the meltwater season and very close to marine-terminating glacier termini still hinders our understanding of some critical processes. Only by adopting more inter-disciplinary methods of working and deploying new technology will these data-deficiencies be addressed. Hopwood, M. J., Carroll, D., Browning, T. J., Meire, L., Mortensen, J., Krisch, S. and Achterberg, E. P. (2018): Non-linear response of summertime marine productivity to increased meltwater discharge around Greenland, Nat. Comm., 9, 3256, doi:10.1038/s41467-018-05488-8. Carroll, D., Sutherland, D. A., Shroyer, E. L., Nash, J. D., Catania, G. A. and Stearns, L. A. (2015): Modeling Turbulent Subglacial Meltwater Plumes: Implications for Fjord-Scale Buoyancy-Driven Circulation, J. Phys. Oceanogr., 45(8), 2169–2185, doi:10.1175/JPO-D-15-0033.1. Meire, L., Mortensen, J., Meire, P., Juul-Pedersen, T., Sejr, M. K., Rysgaard, S., Nygaard, R., Huybrechts, P. and Meysman, F. J. R. (2017): Marine-terminating glaciers sustain high productivity in Greenland fjords, Glob. Chang. Biol., 23(12), 5344–5357, doi:10.1111/gcb.13801. Straneo, F. and Cenedese, C. (2015): The Dynamics of Greenland’s Glacial Fjords and Their Role in Climate, Ann. Rev. Mar. Sci., 7, 89–112, doi:10.1146/annurev-marine-010213-135133. Smith, R. W., Bianchi, T. S., Allison, M., Savage, C. & Galy, V. (2015): High rates of organic carbon burial in fjord sediments globally. 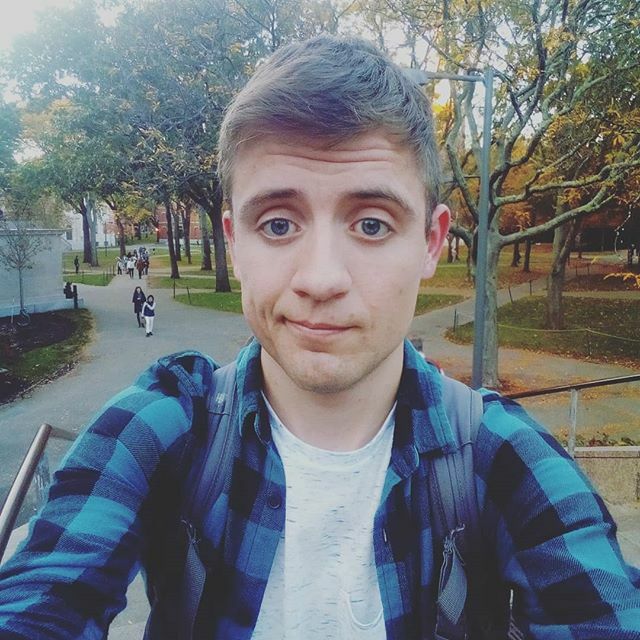 Nat. Geosci. 8, 450–453. An ice sheet is a massive chunk of glacier ice that sits on land – covering an area greater than 50,000 square kilometres (or 1.6 times the size of Belgium) by the official definition. Currently, the only two ice sheets on Earth are in Antarctica and Greenland. Ice in ice sheets flows from inland toward the coast under gravity. Due to the geothermal heat flux, ice sheets are usually warmer at the base than on the surface. When basal melting occurs, the melted water lubricates the ice sheet and accelerates the ice flow, forming fast-flowing ice streams. When ice flows down a coastline into the ocean, it may float due to buoyancy. The floating slab of ice is called an ice shelf (see these previous posts for more on ice shelves). The boundary that separates the grounded ice and floating ice is called the grounding line. Why do we care about ice sheets? The most uncertain potential source of future sea level rise is the contribution from ice sheets. According to observations, the Greenland and Antarctic ice sheets have contributed approximately 7.5 and 4 mm of sea level rise respectively over the 1992-2011 period, and the contribution is accelerating. 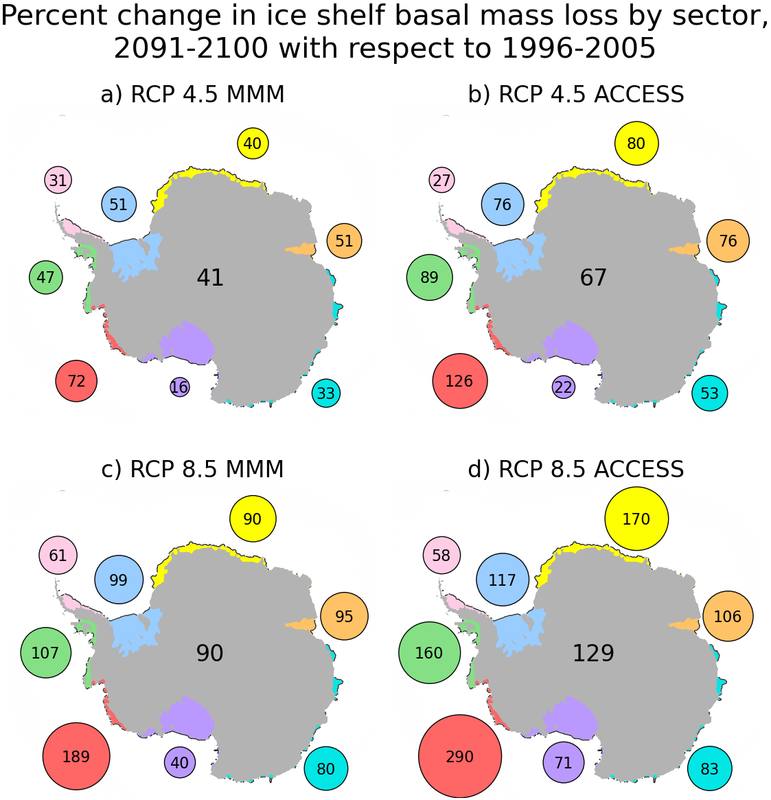 Knowing how the ice sheets will behave under future emission scenarios is crucial for risk assessment and policy-making (see this previous post for more on Antarctic ice sheets). In addition to the direct impact on sea level rise, ice sheets interact with other components of the climate system. For example, ice discharge affects ocean circulation and marine biogeochemistry; changes in orography influence the atmosphere condition and circulation. 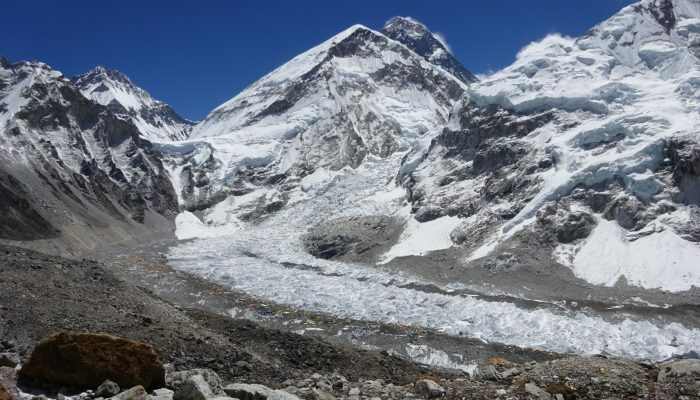 In turn, the ice sheets gain mass primarily from snow fall, and lose mass through surface melting, surface sublimation, basal melting and ice discharge to the ocean, which are influenced by atmospheric and oceanographic processes. In Antarctica, the mass loss due to basal melting and iceberg calving is larger than snowfall accumulation. The Greenland Ice Sheet is also losing mass through iceberg calving and surface water runoff. Global coupled climate models are developed by different groups of scientists around the world to improve our understanding of the climate system. These models are highly complex, representing interactions between the ocean, atmosphere, land surface and cryosphere on global grids. The Coupled Model Intercomparison Project (CMIP) is a collaborative framework which provides a standard experimental protocol for the different models. The protocol includes a range of greenhouse gas emissions scenarios for future climate projections. Model output is made publicly available and forms the basis for assessments such as the Intergovernmental Panel on Climate Change (IPCC) reports. The latest phase (CMIP6) is underway now. Ice sheets were considered as passive elements of the climate system previously and were not explicitly included in the CMIP process. However, observations of the rapid mass loss associated with dynamic change in ice sheets highlight the need to couple ice sheets to climate models. New developments in ice sheet modelling allow previously-omitted key processes which affect ice sheet dynamics on decadal timescales, such as grounding-line migration and basal lubrication, to be simulated with higher confidence. 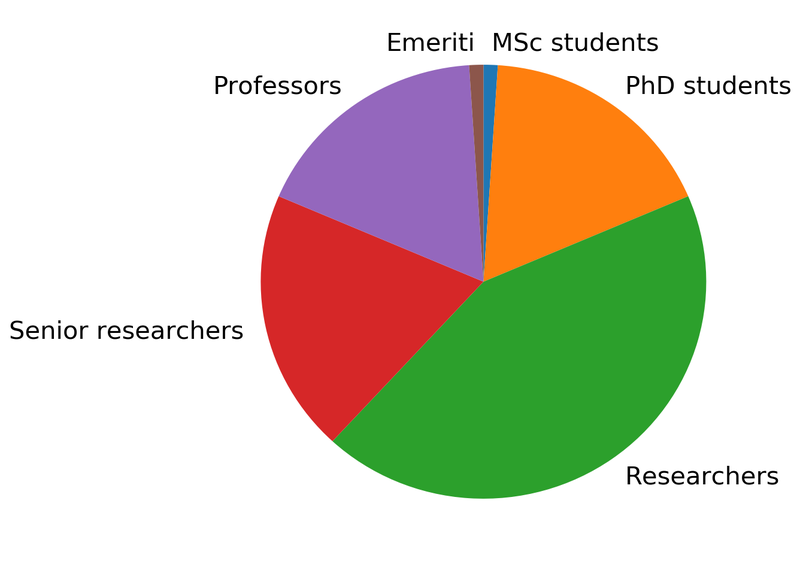 ISMIP6 is an international effort designed to ensure that projections from ice sheet models are compatible with the CMIP6 process, bringing together scientists from over twenty institutions (Fig. 2). 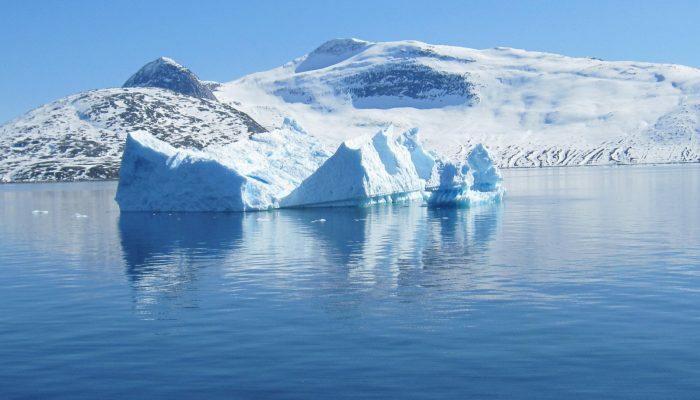 It aims to improve sea level projections, exploring sea level contribution from the Greenland and Antarctic ice sheets in a changing climate and investigating interactions between ice sheets and the climate system. fully coupled atmosphere-ocean-ice sheet models (AOGCM-ISMs). In the first phase, ISMIP6 will compare output from different ice sheet models run in ‘standalone’ or ‘offline coupled’ mode. This means that they receive forcings from the climate model components like the ocean and atmosphere without feeding back. These experiments will be used to explore the uncertainty associated with ice sheets physics, dynamics and numerical implementation. 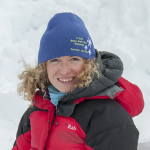 In particular, ISMIP6 is currently focused on gaining insight into the uncertainty in ice sheet evolution resulting from the choice of initialization methods (the initMIP efforts for the Greenland and Antarctic ice sheets) and understanding the response of the Antarctic ice sheet to a total loss of the ice shelves (ABUMIP). The model output of the initMIP simulations for Greenland is now publicly available. Fig. 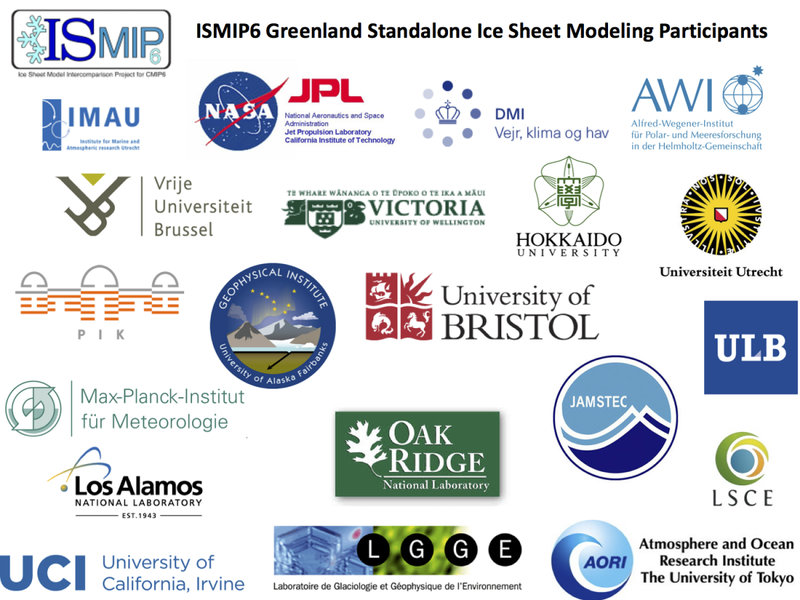 2: Participants of ISMIP6 standalone ice sheet modeling. Regular meetings are organised to update and facilitate communication between the participants. The most recent workshop was hosted in the Netherlands during 11 – 13 September 2018. 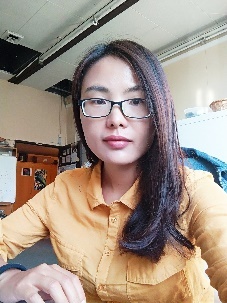 The topic of the workshop was “Developing process-based projections of the ice sheets’ contribution to future sea level.” Participants aimed to evaluate the output of the CMIP6 climate models and obtain forcing for standalone ice sheet model experiments. During the workshop, scientists made progress on establishing the experimental protocols for the ice sheet model simulations that will be discussed in the IPCC sixth assessment report. Nowicki, S. M. J., Payne, A., Larour, E., Seroussi, H., Goelzer, H., Lipscomb, W., Gregory, J., Abe-Ouchi, A., and Shepherd, A. (2016): “Ice Sheet Model Intercomparison Project (ISMIP6) contribution to CMIP6“, Geosci. Model Dev., 9, 4521-4545, doi: 10.5194/gmd-9-4521-2016. Goelzer, H., Nowicki, S., Edwards, T., Beckley, M., Abe-Ouchi, A., Aschwanden, A., Calov, R., Gagliardini, O., Gillet-Chaulet, F., Golledge, N. R., Gregory, J., Greve, R., Humbert, A., Huybrechts, P., Kennedy, J. H., Larour, E., Lipscomb, W. H., Le clec’h, S., Lee, V., Morlighem, M., Pattyn, F., Payne, A. J., Rodehacke, C., Rückamp, M., Saito, F., Schlegel, N., Seroussi, H., Shepherd, A., Sun, S., van de Wal, R., and Ziemen, F. A. (2018): “Design and results of the ice sheet model initialisation experiments initMIP-Greenland: an ISMIP6 intercomparison“, The Cryosphere, 12, 1433-1460, doi: 10.5194/tc-12-1433-2018. Image of the Week – Stuck in the ice: could it have been predicted? 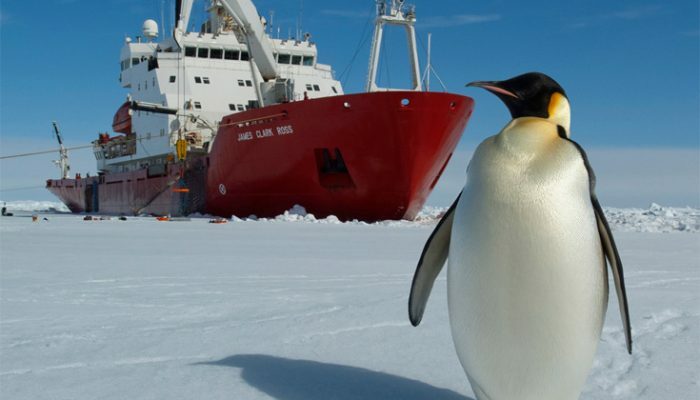 Figure 1: The RRS James Clark Ross stuck in the middle of Antarctic sea ice [Credit: British Antarctic Survey]. Expeditions in the Southern Ocean are invaluable opportunities to learn more about this fascinating but remote region of the world. However, sending vessels to navigate the hostile Antarctic waters is an expensive endeavor, not only financially but also from a human perspective. When vessels are forced to turn back due to hazardous conditions or, even worse, become stuck in the ice (as shown in our Image of the Week), a mission full of expectations can quickly turn into a nightmare. Hence there is an increasing demand for reliable information on the navigability of the Southern Ocean a few weeks to a few months in advance. This information could support the final decision whether to start the journey or not, and would allow minimizing the associated risks. In late February 2018, the British vessel RRS James Clark Ross was heading to the Eastern Antarctic Peninsula to investigate the consequences of the calving of a massive iceberg from the Larsen C ice shelf. Unfortunately the vessel had to turn back before reaching its goal due to the unexpected presence of thick sea ice in the region. This story is not unusual. During Christmas 2013, a Russian ship named the Akademik Shokalskiy also got stuck in several meters of Antarctic sea ice. Ironically, one of the rescuing vessels itself (the Chinese Xuě Lóng) got trapped in the ice as well. To prevent such events from happening again, we need to be able to predict the upcoming sea-ice conditions. Can sea-ice conditions be forecast at seasonal time scales? If so, how? To prevent accidents and unforeseen problems, one goal of the Year Of Polar Prediction is to enhance environmental forecasting capabilities from operational (hours to days) to tactical (weeks to months) time scales in high latitude regions. Several studies support the notion that Antarctic sea ice may be predictable a few months ahead, at least in certain regions (Holland et al. 2017, Chen and Yuan 2004, Holland et al. 2013, Marchi et al. 2018). Hosting seasonal outlooks of Antarctic sea ice to better understand the sources of sea-ice predictability and the origins of systematic forecast errors in different types of models. 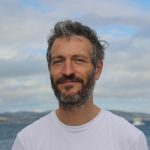 Providing news and information on the current state of Antarctic sea ice, disseminating research to a wider audience and reporting ongoing field campaigns. Coordinating realistic seasonal prediction exercises to investigate the potential use of this information for users and customers, primarily ships navigating in the region. As a first major milestone, SIPN South provided coordinated forecasts of sea ice for February 2018. February is the month with the smallest sea-ice area in the Antarctic, and therefore most of the shipping traffic in the region happens around that time. Participants were asked to provide an estimation of sea-ice coverage (area, concentration) for each day of February 2018, and were asked to issue their predictions by mid-December 2017. 13 research groups participated in this first forecasting experiment, following different approaches: several groups used fully coupled climate dynamical models, while others applied statistical regression methods to predict future ice conditions. As we all know, the weather is unpredictable beyond a few days. However, previous research has suggested that the statistics of weather (its mean, its variability) can potentially be predicted from months to decades, due to the coupling of the atmosphere with “slower” components of the climate system like the ocean. To reflect this and to accurately estimate the statistics of weather, groups tend to provide not just one forecast, but several of them. These “ensembles” of forecasts provided by each group therefore represent all possible states of the atmosphere, ocean and ice that may prevail in February 2018 – given the known initial conditions of December. The results of the coordinated experiment are shown in Figure 2. The February mean sea-ice area is shown for each group (colors), along with two actual observational references (black). Bear in mind that the forecast data were issued two months before the actual target date! Here, the forecasts are expressed as anomalies with respect to a reference climatology. 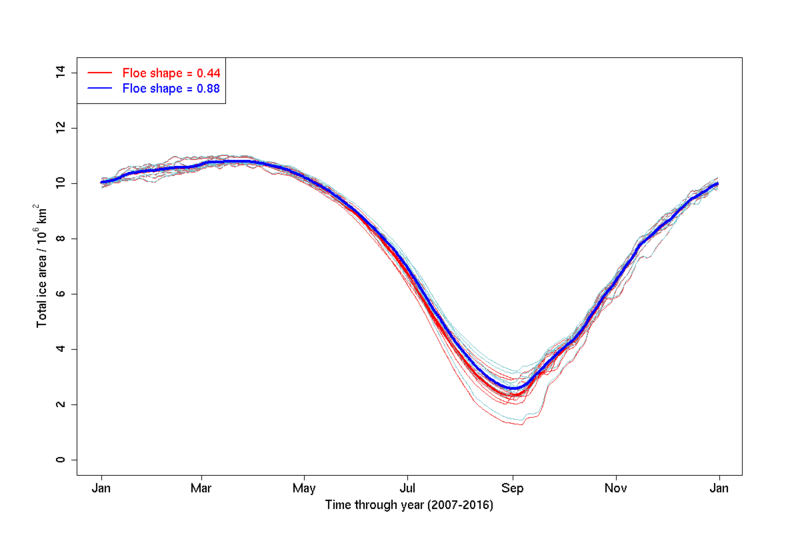 All forecasts tend to overestimate the February sea ice area in the Ross Sea. A reason for this wrong estimation might be a very unusual cyclone, which passed over the Ross Sea around the 20th of January 2018 (i.e., between the time the forecasts were issued and the period for verification). This cyclone brought relatively warm air into the region. Furthermore it fractured the ice, opening more areas of open water and possibly increasing the effect of the ice-albedo feedback. Events like this one are not individually predictable several weeks in advance, but a well-designed forecasting system should at least account for this possibility. Despite running ensembles of forecasts, the sea-ice reduction in the Ross Sea was not captured by most forecasts. This may point towards a common and systematic deficiency in these prediction systems. Figure 2: February 2018 mean regional sea-ice area anomaly (compared to 1979-2014 observed climatology) by longitude, for the 13 submissions, with observed estimates given in black. Solid lines show the ensemble mean for each contribution, with transparent shading indicating the ensemble range (min-max) [Credit: F. Massonnet]. Sea-ice area, as shown in Fig. 2, is a primary parameter used by scientists to quantify ice presence in a given region. It is also a useful number to diagnose model-data mismatch. 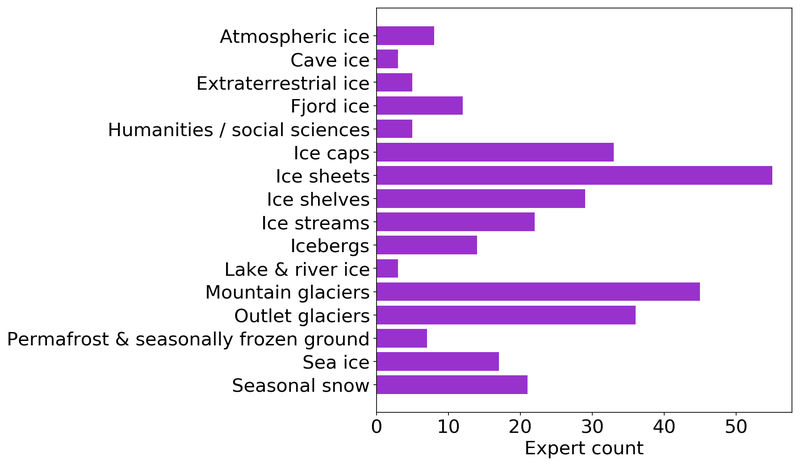 However, sea-ice area is of little use for those who actually need climate information. For someone operating a vessel, the important information is how likely that vessel is to encounter sea ice in a given region for a given day in February. Information from Fig. 2, while certainly useful to scientists, is meaningless to those willing to extract practical information for navigation. Alongside the work to understand fundamental drivers of sea-ice predictability in order to eventually improve the predictions, it is necessary to consider how potential users will interact with the forecasts. As explained above, climate forecasts are probabilistic in nature. Communicating probabilistic information to a non-trained audience is always a challenging task: for example, how would you interpret a forecast saying that there is a 50% chance of rain for tomorrow? To reflect the irreducible uncertainty of climate forecasts (see previous section), sea-ice forecasts are generally expressed in terms of sea-ice probability, i.e. the probability that a given region of the Southern Ocean has sea-ice concentration larger than 15%. This probability is derived for each day and each grid cell from the ensemble forecasts contributed by each group (Fig. 3). If well calibrated, this type of information can be useful to those planning operations weeks in advance. 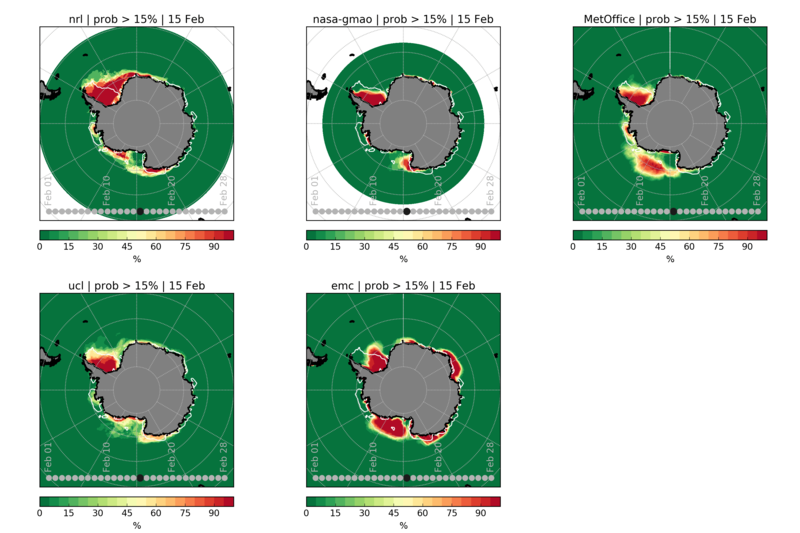 For example, all but one model had forecast a high (>80%) probability of ice presence in the Larsen C area (eastern tip of the Antarctic Peninsula) where the RRS James Clark Ross got stuck five months ago. That is, there was a high risk, according to those forecasts, that ice would be present in that area in February. Of course, this does not mean that navigation would have been impossible (ice breakers can still operate in icy waters, provided the ice is thin), but these forecasts provided a first-order warning that there was a significant risk of encountering hazardous ice conditions there. The core phase of the Year of Polar Prediction entails “Special Observing Periods”, that is, intensive efforts to monitor the Arctic and Antarctic regions but also to enhance modeling activities (see this previous post). The (unique) Special Observing Period in the Southern Ocean will take place between mid-November 2018 and mid-February 2019. 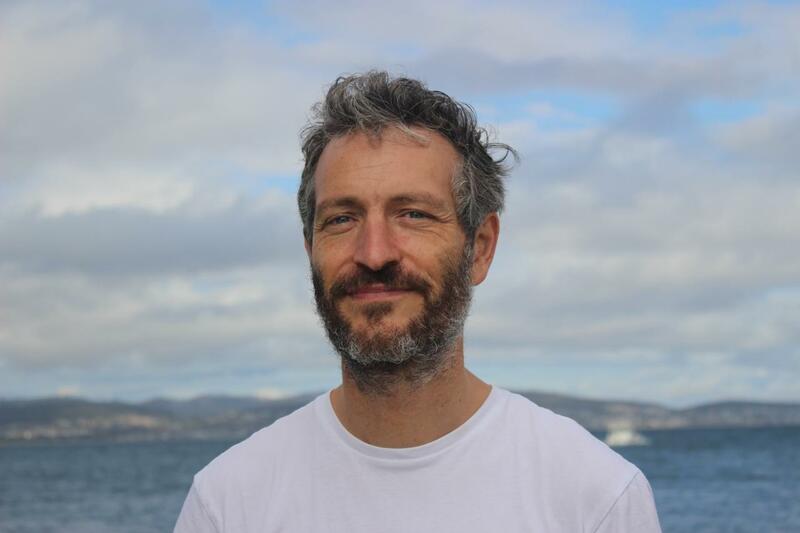 A new call for contributions will be launched by SIPN South to collect sea-ice forecasts for austral summer 2019, hoping that the first exercise in 2018 will raise the interest of even more research groups. A key question will be to assess whether the systems will be able to forecast better the sea-ice conditions in the challenging Ross Sea area, where most forecasts failed. Better insights will hopefully be gained in tracing the origin of systematic model error and lead to an improvement of Antarctic sea ice predictions within the next decade. As reliable climate information is crucially needed in this remote but important region of the world, future efforts to predict Antarctic sea ice will be very welcome! Percent change in ice shelf melting, caused by the ocean, during the four future projections. The values are shown for all of Antarctica (written on the centre of the continent) as well as split up into eight sectors (colour-coded, written inside the circles). Figure 3 of Naughten et al., 2018 ). ©American Meteorological Society. Used with permission. Sea ice is just frozen seawater. But ice shelves (as well as ice sheets and icebergs) are originally formed of snow. Snow falls on the Antarctic continent, and over many years compacts into a system of interconnected glaciers that we call an ice sheet. These glaciers flow downhill towards the coast. If they hit the coast and keep going, floating on the ocean surface, the floating bits are called ice shelves. Sometimes the edges of ice shelves will break off and form icebergs, but they don’t really come into this story (have a look at this and this previous post if you want to read about icebergs nevertheless!). Climate models don’t typically include ice sheets, or ice shelves, or icebergs. This is due to a combination of insufficient resolution and software engineering challenges, and is one reason why future projections of sea level rise are so uncertain. However, some standalone ocean models, i.e. ocean models without a coupled atmosphere, do include ice shelves. At least, they include the little pockets of ocean beneath the ice shelves – we call them ice shelf cavities – and can simulate the melting and refreezing that happens on the undersides of ice shelves. We took one of these ocean/ice-shelf models and forced it with the atmospheric output of regular climate models, which periodically make projections of climate change from now until the end of this century. As forcing, we used the atmospheric output of the Australian model ACCESS 1.0 in two experiments, and the mean of the atmospheric output from 19 other climate models taking part in the Coupled Model Intercomparison Project Phase 5 (Multi-Model Mean or “MMM”) in another two experiments. Each set of experiments considered two different scenarios for future greenhouse gas emissions (“Representative Concentration Pathways” or RCPs), for a total of four simulations. Each simulation required 896 processors on the supercomputer in Canberra. By comparison, your laptop or desktop computer probably has about 4 processors. These are pretty sizable models! In every simulation, and in every region of Antarctica, ice shelf melting increases over the 21st century. The total increase ranges from 41% to 129% depending on the emissions scenario and choice of climate model. The largest increases occur in the Amundsen Sea region, marked with red circles in our Image of the Week, which also happens to be the region exhibiting the most severe melting in recent observations. In the most extreme scenario, i.e. with the highest future greenhouse gas emissions and the more sensitive climate model, ice shelf melting in this region nearly quadruples. finds its way into ice shelf cavities, causing large increases in melting. Slices through the Amundsen Sea – you’re looking at the ocean sideways, like a slice of birthday cake, so you can see the vertical structure. Temperature is shown on the top row (blue is cold, red is warm); salinity is shown on the bottom row (blue is fresh, red is salty). Conditions at the beginning of the simulation are shown in the left 2 panels, and conditions at the end of the simulation are shown in the right 2 panels. At the beginning of the simulation, notice how the warm, salty Circumpolar Deep Water rises onto the continental shelf from the north (right side of each panel), but it gets cooler and fresher as it travels south (towards the left) due to vertical mixing. At the end of the simulation, the surface water has freshened and the vertical mixing has weakened, so the warmth of the Circumpolar Deep Water is preserved. Figure 8 of Naughten et al., 2018, ©American Meteorological Society. Used with permission. 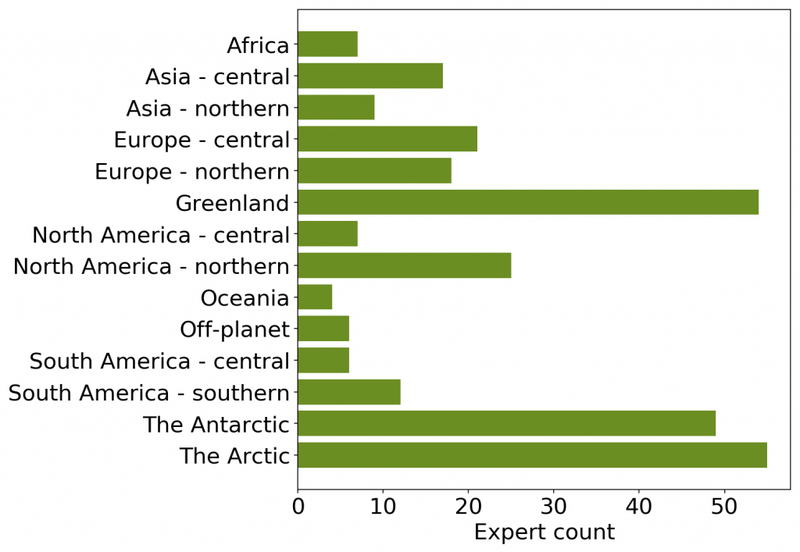 Figure 1: Major climate feedbacks operating in polar regions. Plus / minus signs mean that the feedbacks are positive / negative. Yellow and red arrows show solar shortwave and infrared radiation fluxes, respectively. 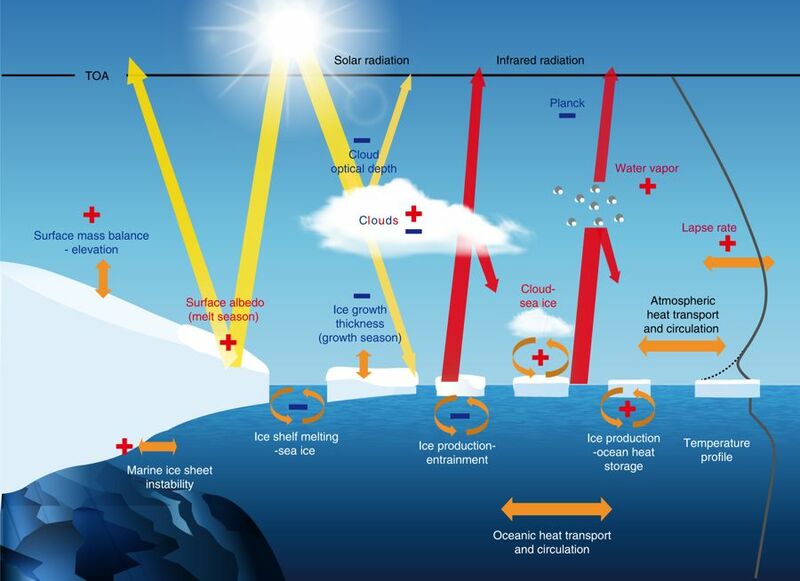 Orange arrows show the flux exchanges between the different components of the climate system (ocean, atmosphere, ice) for several feedbacks. TOA refers to ‘top of the atmosphere’ [Credit: Fig 1 from Goosse et al. (2018)]. 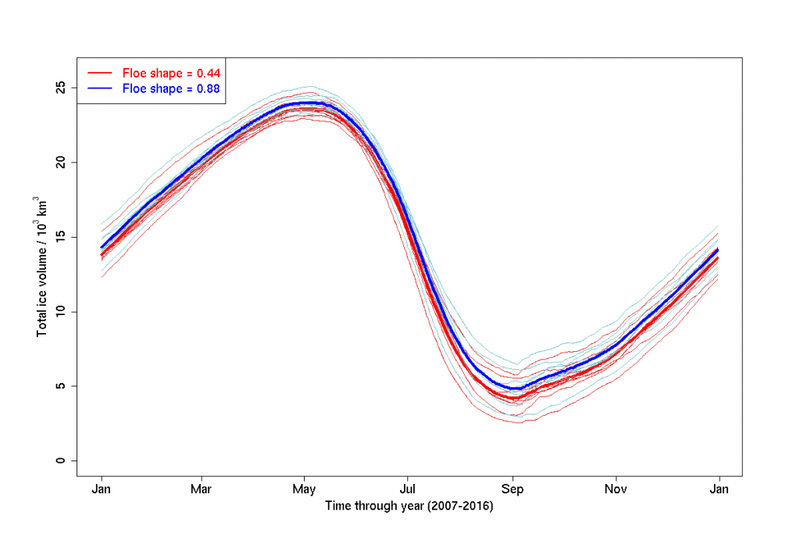 Over the recent decades, the Arctic has warmed twice as fast as the whole globe. This stronger warming, called “Arctic Amplification“, especially occurs in the Arctic because ice, ocean and atmosphere interact strongly, sometimes amplifying the warming, sometimes reducing it. These interactions are called “feedbacks” and are illustrated in our Image of the Week. Let’s see why these feedbacks are important, how we can measure them and what their implications are. When it comes to climate science, feedback loops are very common. A climate feedback is a process that will either reinforce or diminish the effect of an initial perturbation in the climate system. If the initial perturbation, for instance the warming of a region, is amplified by this process, we talk about a “positive feedback”. A positive feedback can be seen as a “vicious circle” as it will lead to an ever-ongoing amplification of the perturbation. The most prominent positive feedback in the Arctic is the “ice-albedo feedback“: as the surface warms, ice melts away, exposing darker surfaces to sunlight, which absorb more heat, leading to even more melting of the ice around. On the contrary, if the initial perturbation is dampened by the process, we talk about a “negative feedback”. An example for a negative feedback is the “ice production-entrainment feedback”. In winter, when sea ice forms, it rejects salt into the ocean. As a result, the top ocean layer becomes denser and starts to sink. As the surface water sinks, it leaves room for warmer water below to rise to the surface. This warmer ocean surface then inhibits the formation of new sea ice. The main climate feedbacks at play in polar regions involve the atmosphere, ocean and sea ice. They are represented in our Image of the Week. Plus and minus signs in this figure mean that the feedbacks are positive and negative, respectively. How can we measure these feedbacks? 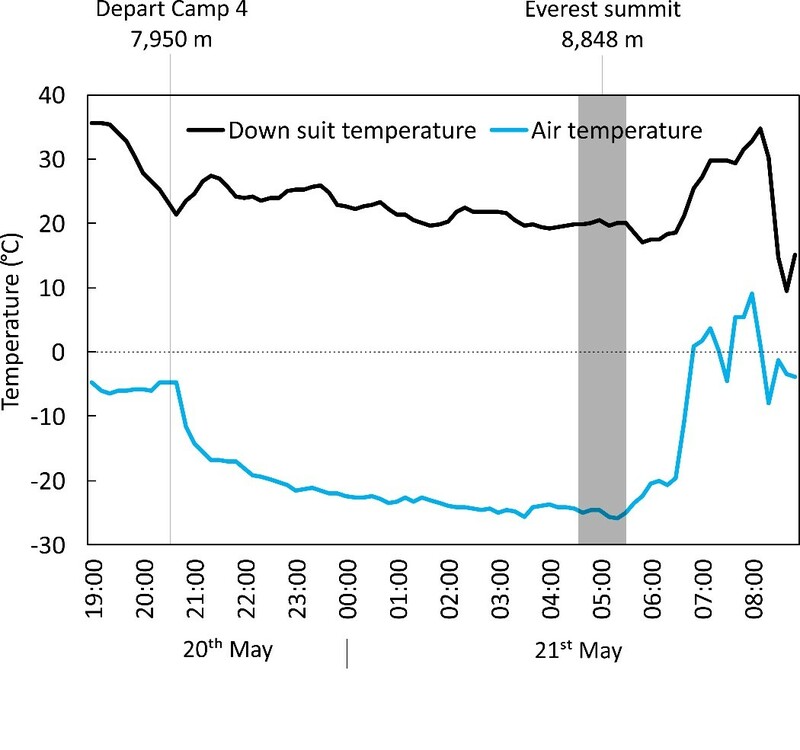 All the climate feedbacks depicted in our Image of the Week are far from being totally understood and are usually measured using different methods. That is why a new study (from which our Image of the Week is taken) proposes a common framework to quantify them. the reference system in which the feedback under consideration does not operate. the reference system is sea ice and the ocean column without entrainment. 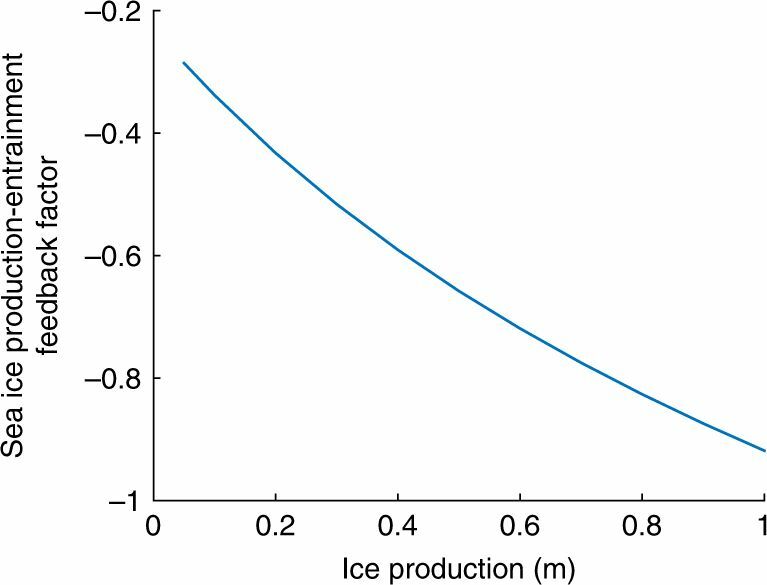 The feedback factor related to the “ice production-entrainment feedback” is then the ratio between the changes in ice thickness due to the feedback only and the total changes in ice thickness following a given amount of ice production. As it is a negative feedback, the related feedback factor is negative. As illustrated in Fig. 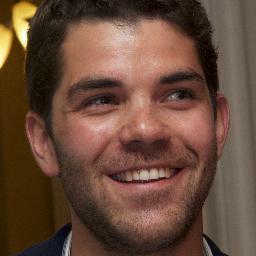 2, this feedback factor becomes even more negative, i.e. the strength of the feedback increases, with higher ice production. 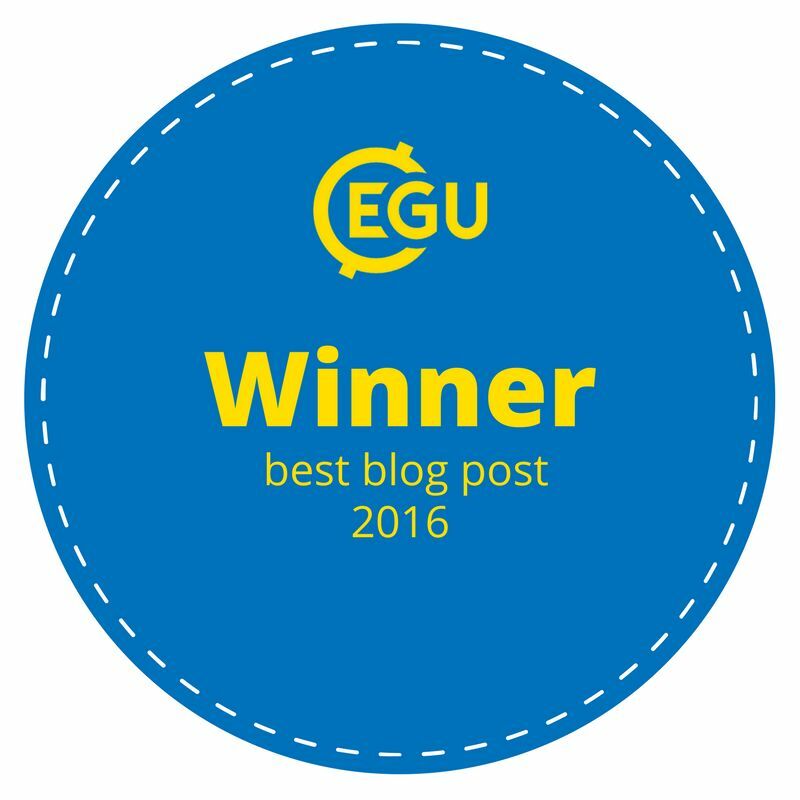 Therefore, this feedback is highly nonlinear, which is typical of feedbacks in polar regions. Figure 2: Feedback factor related to the ice production-entrainment feedback as a function of ice production. 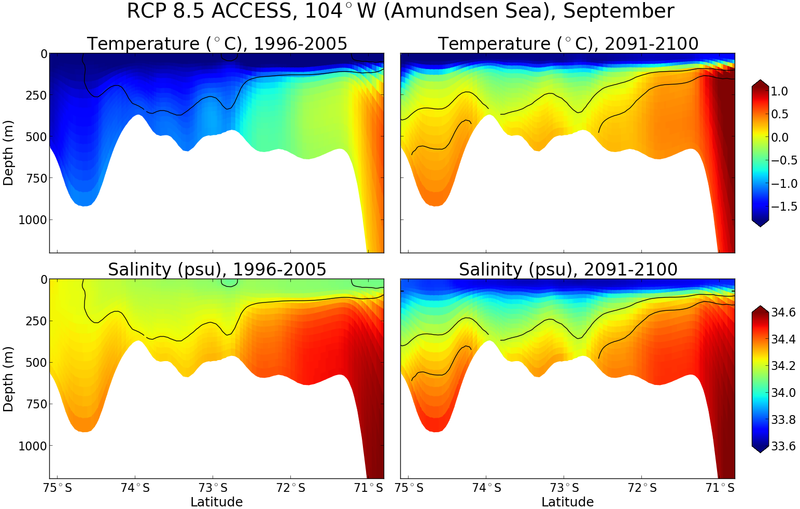 It is computed from mean temperature and salinity profiles in the Weddel Sea for January-February 1990-2005 [Credit: Fig. 5 from Goosse et al. (2018)]. The advantage of this framework is that you can apply it to all feedbacks present in our Image of the Week. Therefore, it is possible to compute their effects in a similar way, making the comparison easier. Accounting for all those climate feedbacks is difficult, as they involve several components of the climate system and interactions between them. Therefore, their misrepresentation (or lack of representation) is one of the sources of error in model projections, i.e. climate model runs going up to 2100 and beyond. Climate feedbacks are therefore one explanation why models largely disagree when it comes to projecting global temperature and sea-ice evolution. This means that, if we want to better predict what is going to happen in the polar regions, we must better measure what the feedbacks do in reality and better represent them in climate models. On the modelling side, the main problem is that feedbacks are often described qualitatively to understand climate processes, and many models cannot evaluate these feedbacks quantitatively. 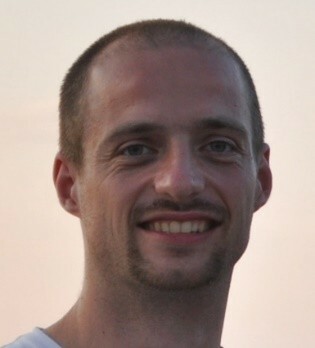 There is therefore a clear motivation to use the common framework presented in this study to compute climate feedbacks in models. 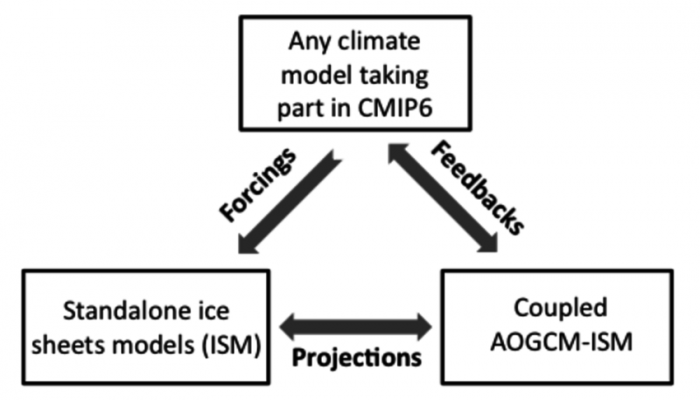 However, additionally to improving model projections, identifying the critical climate feedbacks at play in polar regions is also a way to better target observational campaigns, such as the Year of Polar Prediction (YOPP) and the Multidisciplinary drifting Observatory for the Study of Arctic Climate (MOSAiC). Goosse, H. et al. (2018). 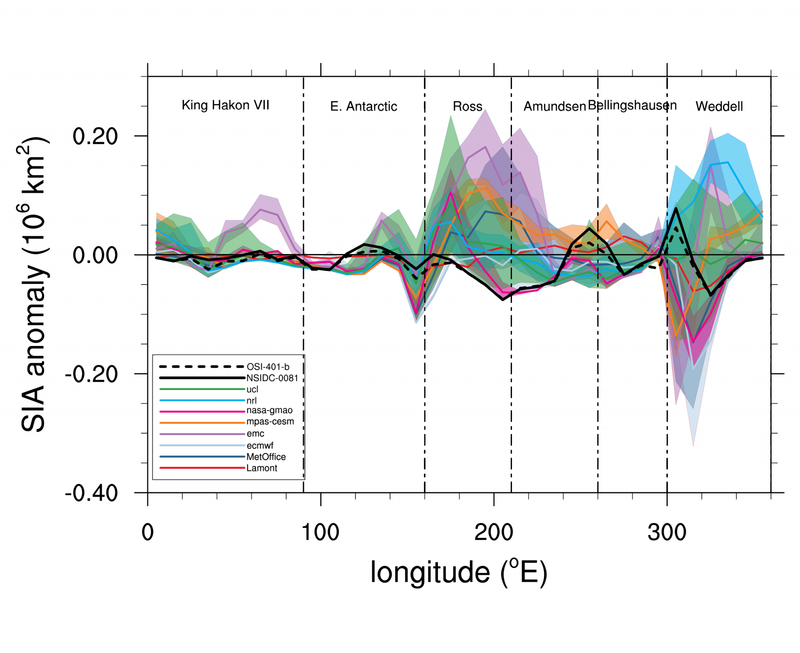 Quantifying climate feedbacks in polar regions. Nature Communications, doi: 10.1038/s41467-018-04173-0. Pithan, F. and T. Mauritsen (2014). Arctic amplification dominated by temperature feedbacks in contemporary climate models. Nature Geoscience, doi: 10.1038/NGEO2071. Sentinel-2A and 2B satellites provide high-resolution images with a pixel size of 10 m to 20 m (depending on the spectral band), which enables to detect dust on snow at the scale of hillslopes. 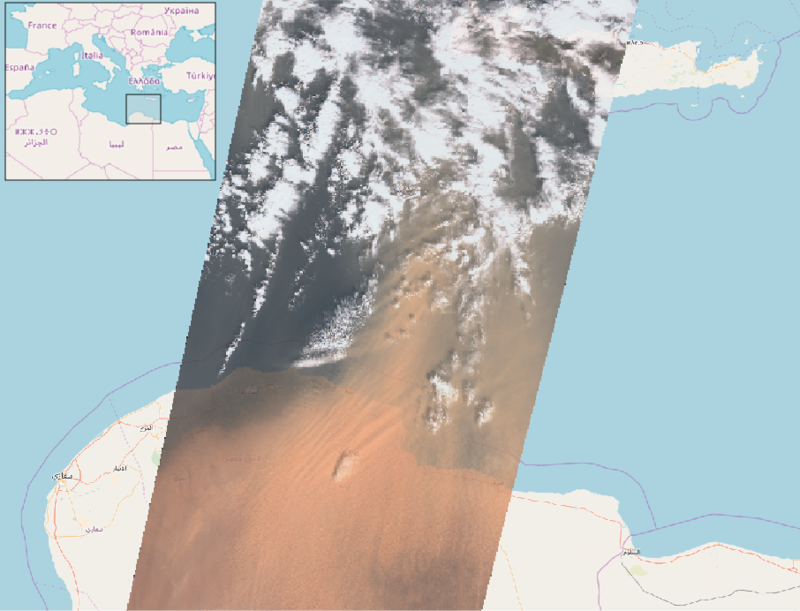 Sentinel-2 has a high revisit capacity of 5 days which increases the probability to capture cloud-free images shortly after the dust deposition. 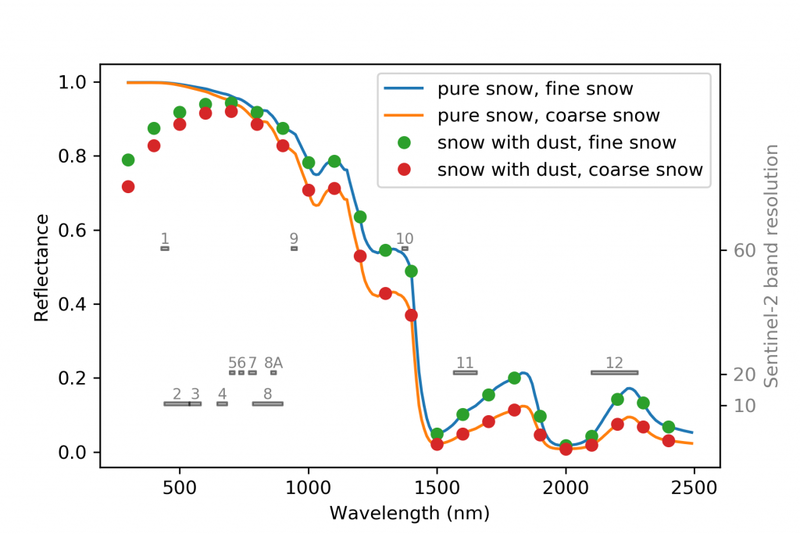 Sentinel-2 has many spectral bands in the visible and near infrared region of the light spectrum, making easy to separate the effect of dust on snow reflectance — i.e. the proportion of light reflected by snow — from other effects due to snow evolution. The dust particles mostly reduce snow reflectance in the visible, while coarsening of the snow by metamorphism (i.e. the change of microstructure due to transport of vapor at the micrometer scale) tends to reduce snow reflectance in the near infrared (Fig. 2). Sentinel-2 radiometric observations have high dynamic range and are accurate and well calibrated (in contrast to some trendy miniature satellites), hence they can be used to retrieve accurate surface dust concentration, provided that the influence of the atmosphere and the topography on surface reflectance are removed. Later in April another storm from the Sahara brought large amounts of dust in southwestern Europe. 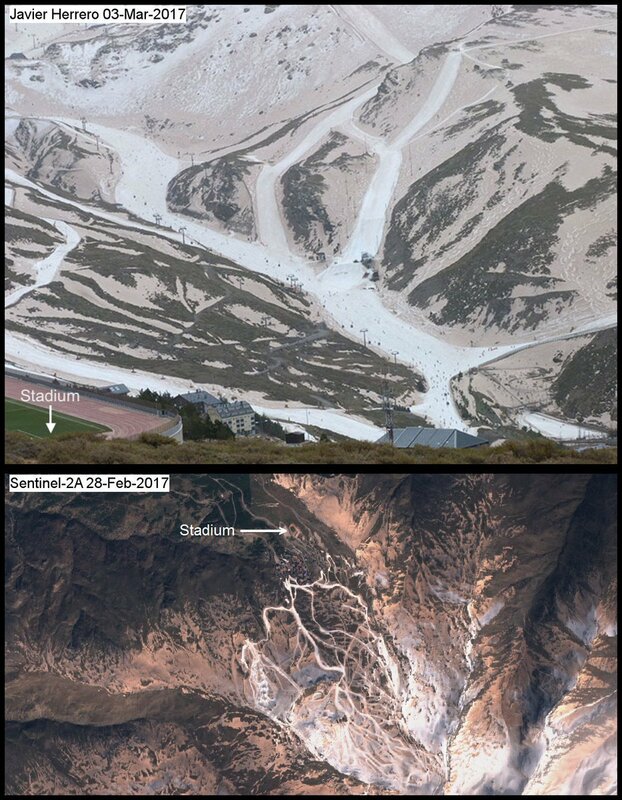 This example in the spanish Sierra Nevada nicely illustrates the value of the Sentinel-2 mission since both images were captured only 5 days apart. The high resolution of Sentinel-2 is also important given the topographic variability of this mountain range. This is how it looks in MODIS images, having a 250 m resolution. 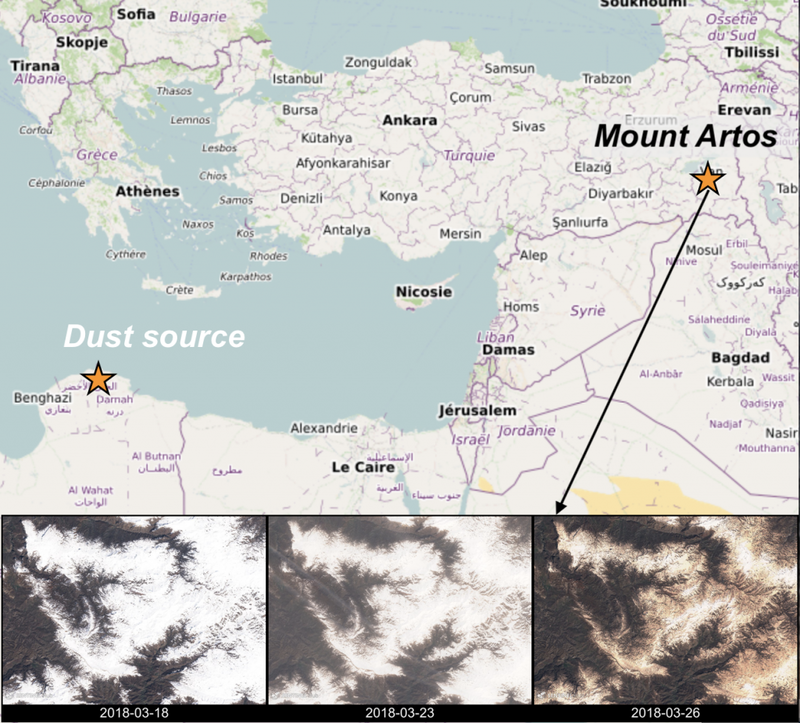 Sentinel-2 satellites enable to track the small-scale variability of the dust concentration in surface snow, even at the scale of the ski runs as shown in Fig. 6. A current limitation of Sentinel-2, however, is the relative shortness of the observation time series. Sentinel-2A was only launched in 2015 and Sentinel-2B in 2017. With three entire snow seasons, we can just start looking at interannual variability. An example in the Prokletije mountains in Albania is shown in Fig. 7. These images suggest that the dust event of March 2018 was not exceptional in this region, as 2016 also highlights a similar event. The Sentinel-2 archive will keep growing for many years since the EU Commission seems determined to support the continuity and development of Copernicus programme in the next decades. In the meantime to study the interannual variability the best option is to exploit the long-term records from other satellites like MODIS or Landsat. 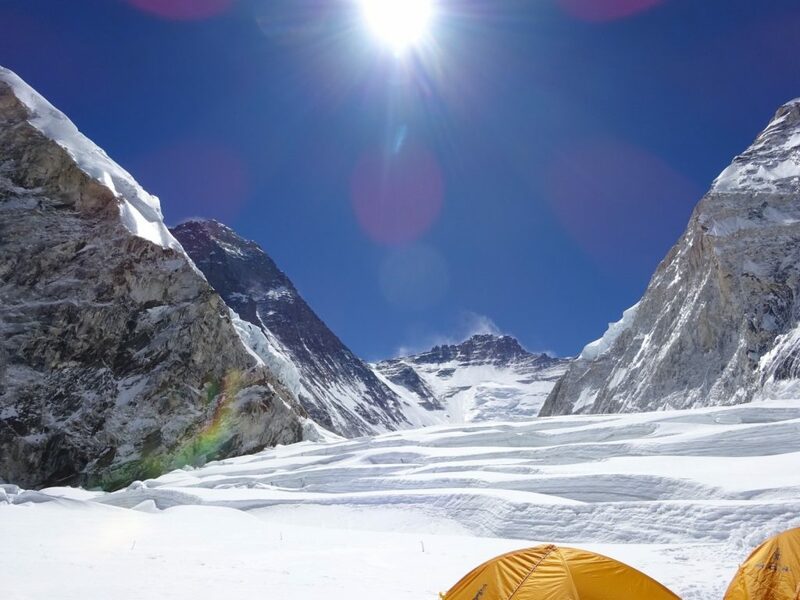 Dust on snow is important for water resource management since dust increases the amount of solar energy absorbed by the snowpack, thereby accelerating the melt. A recent study showed that dust controls springtime river flow in the Western USA (Painter et al, 2018). 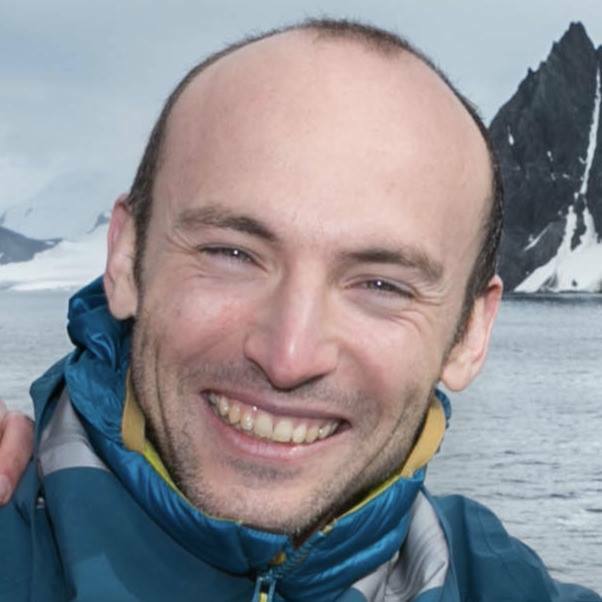 Simon Gascoin is a CNRS researcher at Centre d’Etudes Spatiales de la Biosphère (CESBIO), in Toulouse. 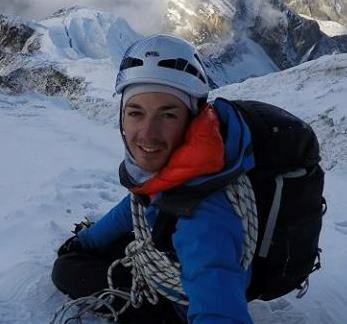 He obtained a PhD in hydrology from Sorbonne University in Paris and did a postdoc on snow and glacier hydrology at the Centro de Estudios Avanzados en Zonas Áridas (CEAZA) in Chile. 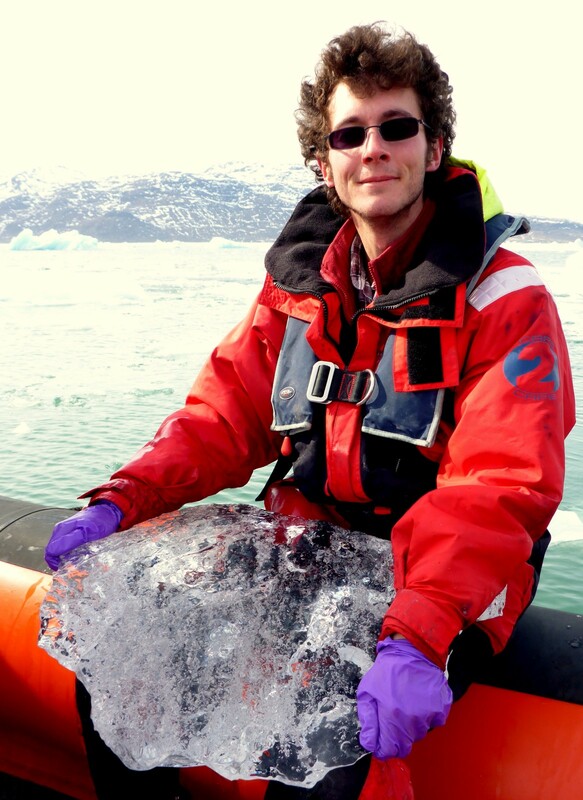 His research is now focusing on the application of satellite remote sensing to snow hydrology. He tweets here and blog here. 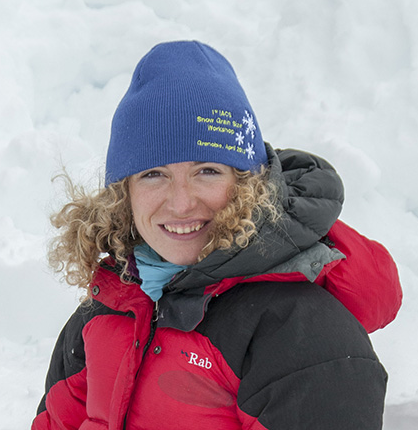 Marie Dumont is a researcher, leading the snow processes, observations and modelling research team at the snow study centre (CNRM/CEN, Grenoble, France). 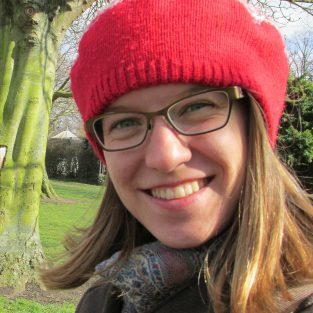 Her research focuses on snow evolution mostly in alpine region using numerical modelling and optical remote sensing. 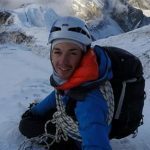 Ghislain Picard is a lecturer working at the Institute of Geosciences and Environment at the University Grenoble Alpes, in the climate and ice-sheets research group. 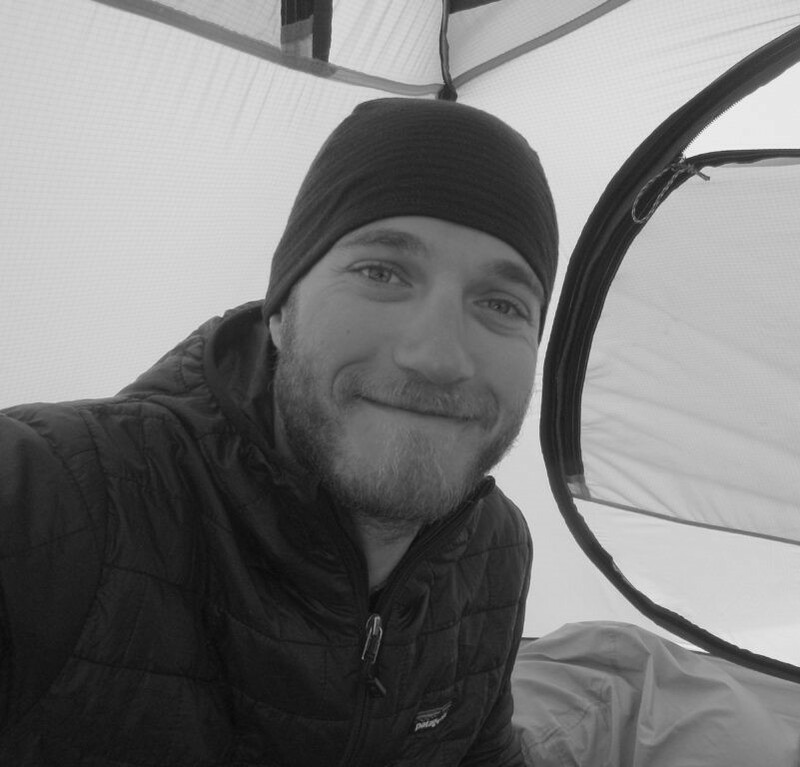 His research focuses on snow evolution in polar regions in the context of climate change. Optical and microwave remote sensing is one of its main tools.